A new law was passed within the state of New Hampshire this year that will change the way court cases will proceed in regards to vehicular homicide charges. The state will now require the defendant to be responsible for burden of proof. The state will not have to prove that the driver of a vehicle was in violation of any motor laws. The state will only have to show that the driver was negligent in the operation of the vehicle that contributed to the crash taking place. This changes how lawyers will need to operate in regards to such cases. 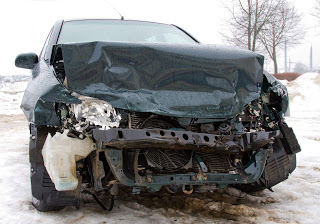 If you are involved in a motor vehicle accident case in the state of New Hampshire that resulted in the death of other individuals, you will need a knowledgeable lawyer to assist you with providing the burden of proof. You will need a lawyer to be able to show that you were not negligent while driving and this may be difficult to do based on your individual case. Because of the change in law, lawyers for the defendant in such a case will have to work harder to be able to prove their client is innocent. If you ever face such charges within the state, you want to be sure to hire an attorney that has researched the change in law as well as has experience with such cases in the past. This way, you can feel comfortable that you are represented well and will be able to avoid any jail time or fines based on the new law. As soon as such an instance takes place, contact a personal injury attorney in New Hampshire to have your story heard. You want to have a team of lawyers supporting you from the very beginning to be able to fight the charges and be successful if the case goes to trial.